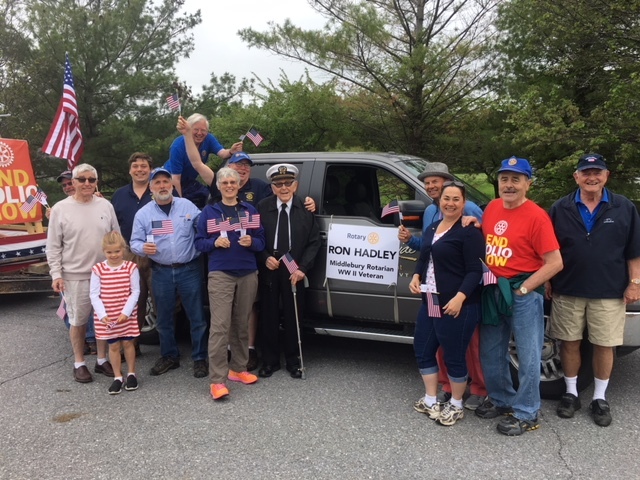 The club participated in Middlebury's annual event with a float that highlighted our effort to eradicate polio and also honored Ron as a WW2 veteran. And congratulations to who ever thought of the little flags! 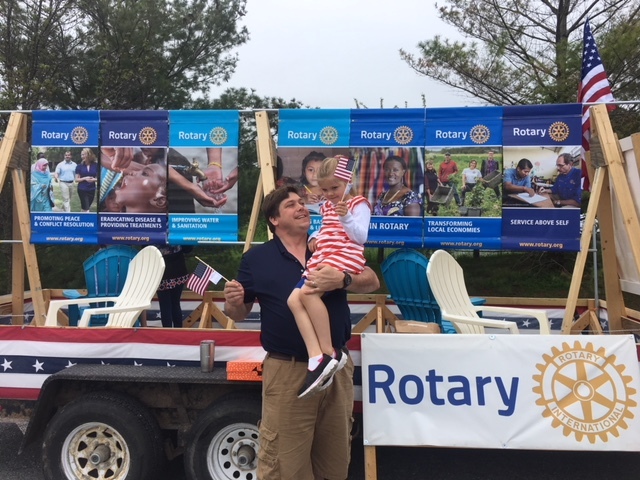 We distributed 600 small US flags promoting our flag project.